The healing arts as practiced in the Old West often meant the difference between life and death for pioneers, who often had to make do until a doctor could be found. This historical overview addresses the health perils during the expansion of the American frontier, and the methods used by doctors to treat and overcome them. Appendices list commonly used drugs and typical surgical instruments from the 1850-1900 era. 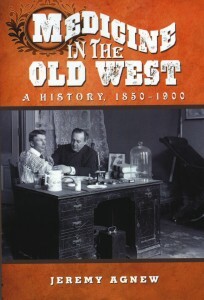 Agnew, a consultant in the field of biomedical electronics, has written numerous books about the Old West. ISBN: 978-0-7864-4623-0. Published by McFarland & Co., 2010. This publication is designed for use by both interested laypersons and plant scientists. It includes more than 500 full-color photos and 450 finely detailed illustrations by Marjorie Leggitt ’77) and descriptions of more than 490 naturalized and cultivated trees, shrubs and woody vines that are known to occur in New Mexico, as well as distribution maps and dichotomous keys. 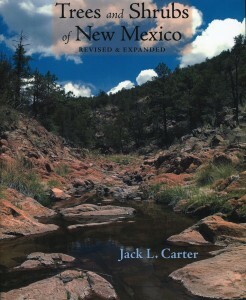 The guide is designed to assist the educated layperson interested in identifying New Mexico flora, says Carter, who now lives in Silver City, N.M.
ISBN: 978-096584044-6. Published by Mimbres Publishing, 2012. In this comedy of bad manners, the ill-matched parents of too-young newlyweds Billy and Ann Richardson politely collide in a series of encounters guaranteed to insure catastrophe, when a wry college professor, a glamorous real estate agent, a randy plumber, and a frustrated housewife face off on some social and sexual battlefields. The newlyweds find themselves forced to grow up in a hurry as they begin to accept their parents as people who are as vulnerable as everyone else. ISBN: 978-1-59569-230-6. Published by Mondial Books, 2012. This new book features typical Randall poems – if Randall poems can be called typical. They’ve been described as sassy, bold, confident, and “they always seem to get the last word,” said one reviewer. 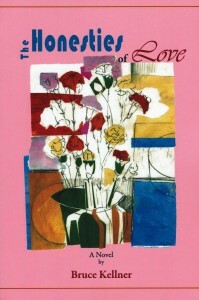 An earlier collection of poems, “A Day in Boyland,” was a finalist for the Colorado Book Award. Randall’s poems have been hung from trees, made into rock songs by garage bands, used in library advertisements, sold in gumball machines, and most recently, featured on the side of a “street-cleansing” truck in Sydney, Australia. ISBN: 978-1-59709-230-2. Published by Red Hen Press, 2012. 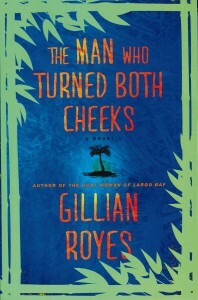 Picturesque and impoverished Largo Bay is the background for this novel about love and fear, the second in Royes’s mystery series featuring Shad, a Jamaican bartender-detective. With the arrival of Joseph, estranged son of Eric, the bar’s owner, hopes for the village’s future come alive but are soon to be threatened. Janna, who has returned to the island, falls for Joseph’s good looks and charm, but she isn’t the only one with an eye for this mysterious man. ISBN: 978-1-4516-2743-5. 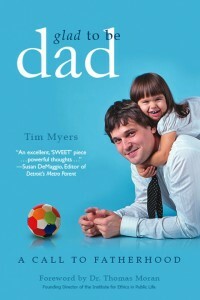 Published by Simon and Schuster, 2012. 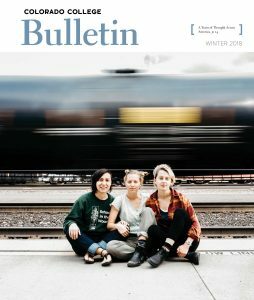 Hunter-Larsen’s article, titled “The Curatorial Classroom: Creating Opportunities for Engaged Learning in the Academic Museum,” is included in this collection of essays written about, by, and for the community of academic museums. Hunter-Larsen’s piece highlights two recent collaborative projects between CC’s Interdisciplinary Arts Program and faculty members Jane Murphy, associate professor of history, and Rebecca Tucker, professor of art history. It examines the ways in which “Nigar Nazar: Freedom and Authority in Pakistan and the Middle East” and “Strange Beauty: Baroque Sensibilities in Contemporary Art” created learning opportunities by positioning exhibits as extensions of the classroom. ISBN-13: 978-1907697524. 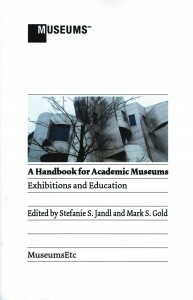 Published by Museums Etc., 2012. This realistic but warm-hearted look at the realities facing American families today recently made Amazon’s “Hot New Releases in Fatherhood” list. Packed with humor, practical insights, and honest analysis of how things are changing, not only for men but also their wives, the book focuses on the challenges these changes bring, as well as the opportunities they present for personal growth and greater happiness. Myers’s children’s books have won recognition from The New York Times, NPR, Smithsonian Magazine, and others. 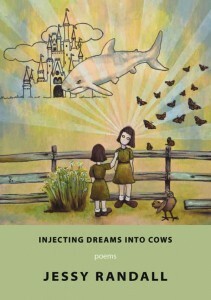 He also won the 2012 Society of Children’s Book Writers and Illustrators Magazine Merit Award for Fiction. ASIN: B008O8B05E. Published by Familius, 2012. Custer, Pershing, Patton, MacArthur— many are familiar with these famous American generals, although almost no one is familiar with their wives —Libbie Custer, Frances Pershing, Beatrice Patton, Jean MacArthur. These are only four of the fascinating women who followed their husbands throughout their careers and helped the generals attain their high rank. 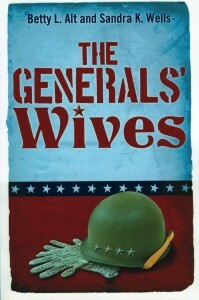 “The Generals’ Wives” provides brief biographies of 15 of these women, from the Revolutionary War to Vietnam. ISBN-13: 978-1457514654. Published by Dog Ear Publishing, 2012. 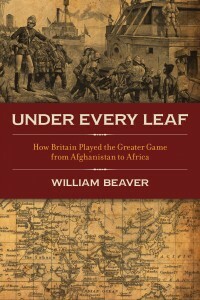 The book, which derives its name from a Farsi proverb that says, “Under every leaf you will find an Englishman,” is the story of the shadowy intelligence division of the British War Office and its role in the formation of the Victorian Empire and imperial policy making from Asia to Africa. The book is based on portions of Beaver’s D.Phil dissertation at Oxford, and draws from an encyclopedic array of primary and little-known sources. Focusing on the heady days between the Crimean War and the establishment of MI5 and MI6 in the early years of the 20th century, this book tells how Britain was well served by an extremely sophisticated secret intelligence service which few even knew existed, then or now. ISBN-13: 978-1849542197. Published by Biteback, 2012. Thoreau is widely read but often misunderstood, with Furtak and others believing he deserves to be more widely appreciated as a great American philosopher. By illuminating Thoreau’s work from various perspectives, the editors hope to open up paths for future philosophical work in the legacy of Thoreau. 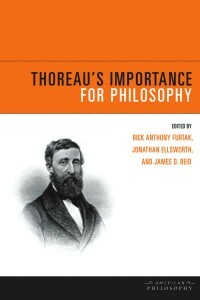 The book started as a conversation among the co-editors, and began to take shape as they reached out to other like-minded authors and scholars, believing that the potential of Thoreau’s writings has only been partly brought to light, even though 150 years have passed since his death. ISBN-13: 978-0823239306. Published by Fordham University Press, 2012. They called Jack “Golden Boy.” Star high school athlete, lots of money, and a big house on the lake. No problems, no worries. Until his mom’s funeral. Now his dad is in jail for running a Ponzi scheme and his little brother is dying of cancer. The doctors are pushing chemo and radiation, but his brother has only one wish—to run away and find Kunik, the magical polar bear from an Inuit legend his mom used to tell. So Jack and his drifting friend, Jill, come up with a plan to sneak across the Canadian border to the Arctic Ocean. On the journey, they discover a dark secret about their legend, and why it can’t be told in the North anymore. ISBN-13: 978-1469931746. Published by CreateSpace Independent Publishing Platform, 2012. For the past several years, child advocates, parents, and educators have expressed concern over the sexualization of girls. Has the cultural sexual objectification of girls and women increased? Are younger and younger girls sold a “sexed-up” version of femininity, and are adult women sold a girlish sexuality? 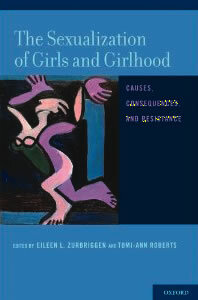 Subtitled “Causes, Consequences, and Resistance,” the book brings an academic voice to the conversation, and includes the empirical research, theory, and practice stemming from the report of the American Psychological Association’s Task Force on the Sexualization of Girls. ISBN-13: 978-0199731657. Published by Oxford University Press, 2012. 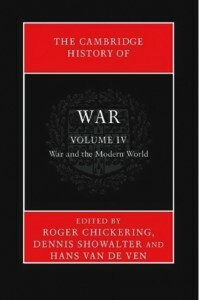 The fourth volume in “The Cambridge History of War” series, this book offers a definitive new account of war in the most destructive period in human history. Opening with the massive conflicts that erupted in the mid-19th century in the U.S., Asia, and Europe, leading historians trace the global evolution of warfare through “the age of mass,” “the age of machine,” and “the age of management.” The book is a comprehensive guide to every facet of modern war, from strategy and operations to its social, cultural, technological, and political contexts and legacies. ISBN-13: 978-0521875776. Published by Cambridge University Press, 2012. 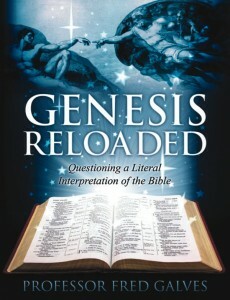 Acclaimed law professor Galves leads readers on a provocative journey to reconcile literal interpretations of the Bible with provable fact and spiritual conjecture. Because people sometimes have difficulty believing in a literal interpretation of the Bible, they often wonder whether the Bible as written is true. Going beyond the classic debate between atheistic critics and evangelical literalists, the book blends rational thought, spiritual beliefs, and personal anecdotes to investigate the paradox between religious faith and scientific rationality. Galves does not denounce the possibility for a justified belief in God, instead forcing the reader to think deeply about assumptions made concerning the Bible. ISBN-13: 978-1457513640. Dog Ear Publishing, 2012. Cairns, those seemingly random stacks of rock, are surprisingly rich with stories and meaning. 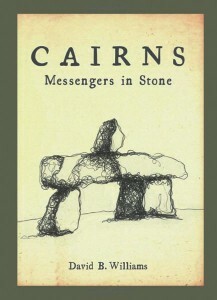 For thousands of years, cairns have been used to connect to the landscape and communicate with others, and are an essential guide to travelers. These man-made rock piles can indicate a trail, mark a grave, serve as an altar or shrine, reveal property boundaries or sacred hunting grounds, and even predict astronomical activity. Williams, a CC geology major, weaves together the cultural and natural history of cairns from around the world. ISBN-13: 978-1594856815. 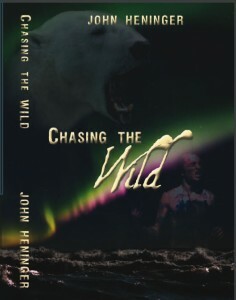 Published by Mountaineers Books, 2012. 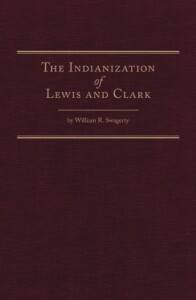 Although some have attributed the success of the Lewis and Clark expedition to gunpowder and gumption, Swagerty, professor of history and director of the John Muir Center at the University of the Pacific, demonstrates in this two-volume set that adopting Indian ways of procuring, processing, and transporting food and gear was crucial to the survival of the Corps of Discovery. Swagerty started the work as a result of his training as a student with CC professors Harvey L. Carter and Dennis E. Showalter. “Carter introduced me to Western American explorers and good research methods; Showalter cultivated my interest in military history and remains my role model as teacher/scholar.” Both are acknowledged in the dedication page. ISBN-13: 978-0870624131. Published by The Arthur H. Clark Company, 2012.